Although Auto Debug can trace programs without debugging symbols compiled into them, it is rather more convenient to use symbolic information when it is available. 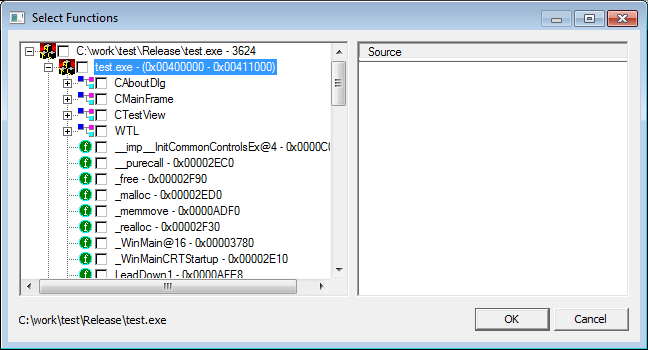 If you have to work with a release (stripped) version of a program, Auto Debug can read its symbols from a mapfile. 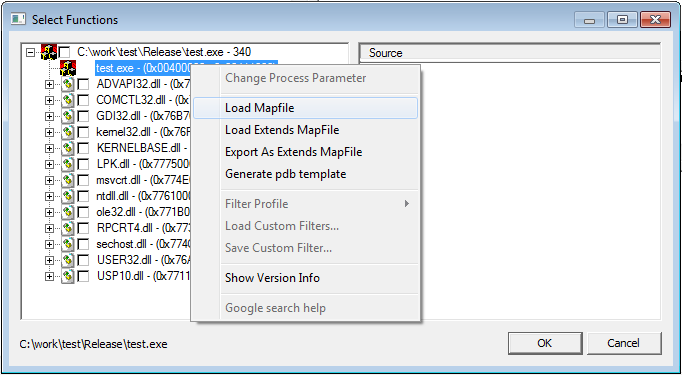 If your application was built with Visual C 6.0, and you have the source, you can use it to generate the mapfile and instruct Auto Debug to use the symbols from it (this option is only available to registered users). Enter a name in the Mapfile name box, or accept the default.